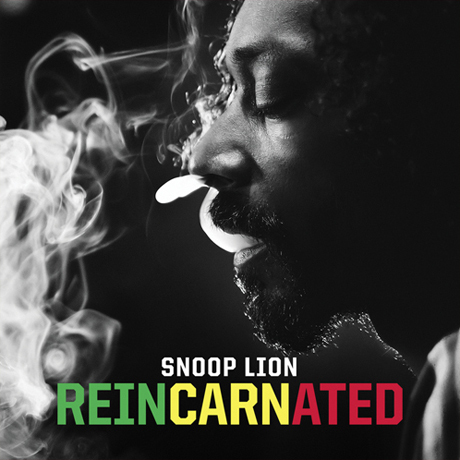 We've been waiting a long time for Reincarnated, the debut album from Snoop Dogg's new reggae persona Snoop Lion. We know it'll drop on April 23 via VICE Music/RCA Records, and now the album's got a tracklisting and album cover. In addition to previously announced collaborations with the likes of Drake, T.I., Akon, Rita Ora and Chris Brown, the Reincarnated tracklisting reveals confirmed appearances from Angela Hunte, Mr. Vegas, Busta Rhymes and even Miley Cyrus. The album art, on the other hand, sees Snoop looking dead serious as he blows smoke in black and white. We're going to go ahead and guess that it's marijuana smoke. Check out the tracklisting for Reincarnated below.